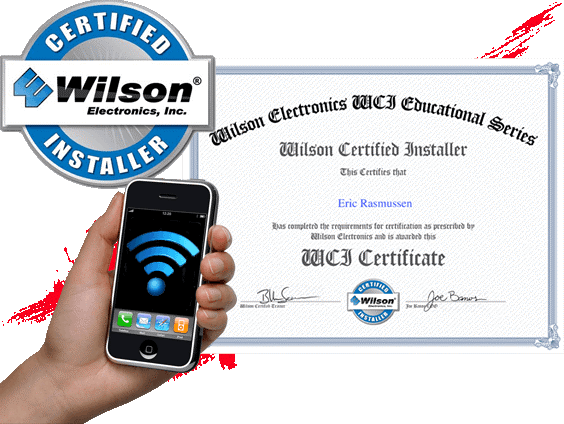 Intuitive AV is a certified installer for Wilson Electronics cellular repeaters. Wilson Electronics is a leader in the industry. Their technology is the	model on which the new FCC regulations for cellular repeaters are being	based. With no monthly recurring fees or charges, your new cell phone	amplifier system can drastically reduce dropped calls and increase your	signal strength to near perfect in most applications. This solution not only increases your phone’s signal strength, it	also increases your phone’s return signal strength back to the towers. This helps increase battery life by allowing your phone to work at a lower	power mode while increasing the clarity of your phone conversations. This	system will increase your 2G, 3G and even 4G internet and data speeds	which include voice and text transmissions as well as high speed internet. Unlike other solutions, this system doesn’t tie into the network	using bandwidth and slowing down your connection. The repeater will increase the cell coverage for any guest in your home	or business, not only a few specific cell numbers like some lesser systems	offer. 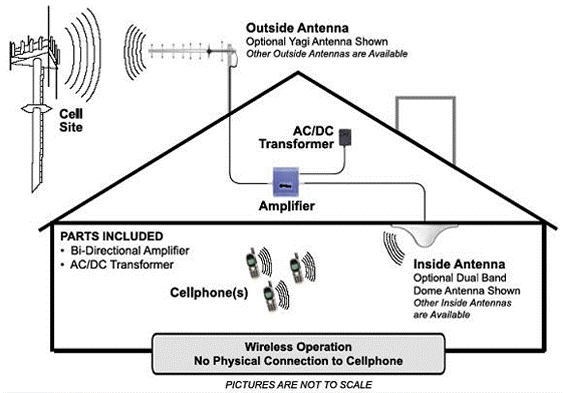 Wilson’s cell phone repeater technology can be implemented	to cover areas from 1000 sq. feet to large homes and commercial spaces	of 30,000+ sq. feet.